A little piece of the country in town. Walk to the park or Senior Center or a short drive to downtown and shopping areas. 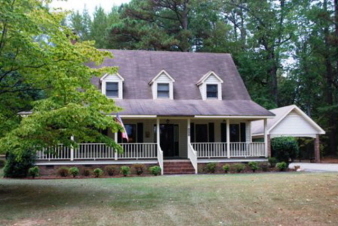 Large kitchen, screen porch & deck perfect for entertaining. Large bedrooms, great storage, detached garage is perfect for equipment or parking a car.2 detached carports can be parking or covered picnic areas.Great garden area.$4000 allowance for kit flr or redecorating.